Pareo from Bali sarongs factory in Bali Indonesia. 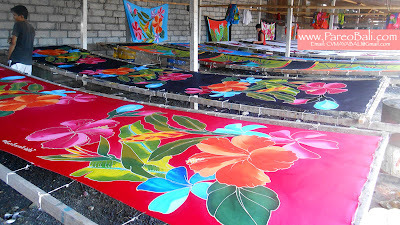 Sarongs wholesale company in Bali. We're sarongs manufacturer and producer. We produce sarongs using rayon fabric. 100% rayon fabric, pure white and smooth textile. Our products range of sarongs include almost all kind of sarongs available such as hand painted, monocolor, silk screen print, tie dye, embroidery and many more. Sarongs factory in Bali. 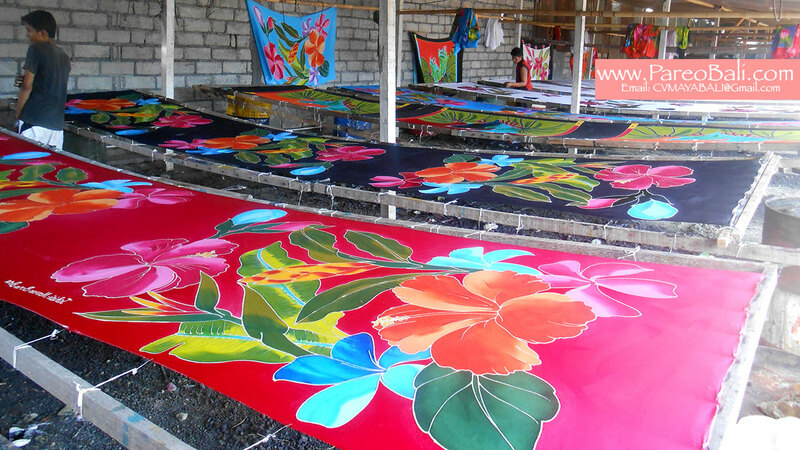 Buy sarongs direct from the factory in Bali. Select from our wide selection of sarongs and pareos made in Indonesia. All are handmade and unique. Work of art from our batik artist with skill passed from generation to generation. Buy from our company, sarongs factory in Bali and enjoy quality sarongs with competitive price. We will also help you with shipping for your order. We work closely with many freight companies in Bali and other countries. We understand export documents and we communicate by phone and email all the time. We're the right choice for you. Bali Pareo Sarong Factory. Sarongs Manufacturer and Supplier. Sarong pareo factory Bali sarong wholesale. Import sarongs from Bali. We're here to help you to supply you with our batik sarongs. We're producing many kind of sarongs. 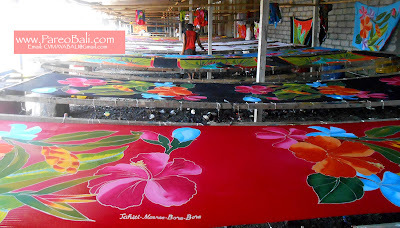 Photo above show you batik artists working with batik sarongs hand painted with tropical flowers motif. This is very popular to many buyers from tropical countries such as Tahiti, Jamaica, Bahamas, Maldives etc. 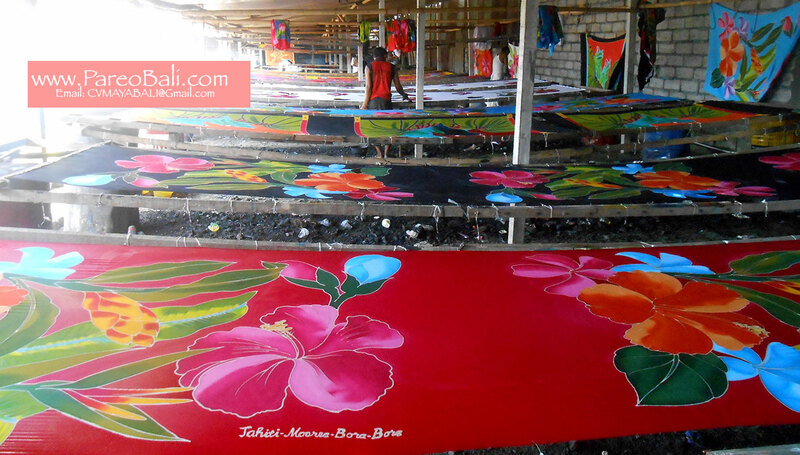 Bali Sarong Factory. Hand painted sarongs from Bali.